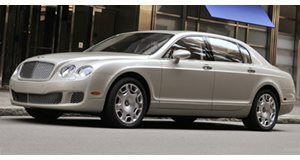 Simply put, the Flying Spur is a four-door version of the two-door Continental GT, Bentley’s volume-selling model. Of course, it’s nowhere near that simple, the Flying spur is a big, hand-made British luxury car that can be had for around half the cost of the big boys in this niche. In terms of the amount of car you get for your money, the Flying Spur shows the huge benefits that can come from platform-sharing. The downside of this is that, like the Rolls-Royce Ghost, the Flying Spur lacks a certain amount of that bespoke exclusivity, although you’ll probably be able to get over it. 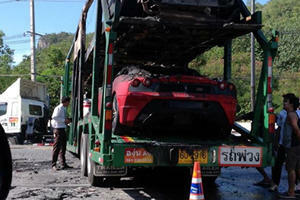 Car transporter filled with exotics set ablaze during morning commute to Thailand’s capital.